ROCKVILLE, Md., June 12, 2018 /PRNewswire/ -- Econo Lodge, a Bassmaster Elite Series tournament presenting sponsor, is giving one lucky winner and a guest the opportunity to spend the day with two-time Bassmaster Elite Series champion Justin Lucas at Lake Guntersville, Ala. The Econo Lodge Easy Escape, Fishing with Justin Lucas contest runs through September 5, 2018. Participants can enter online by submitting a photo and description of their most memorable fishing trip. The winning entry will be announced in September. 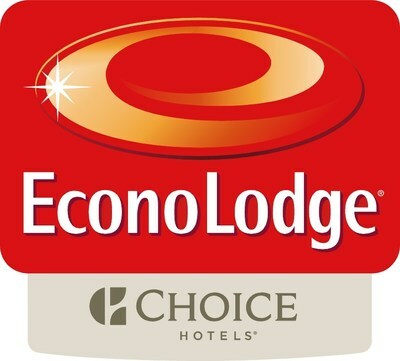 "Outdoor enthusiasts choose the Econo Lodge brand because it offers great value and convenience, as many of its more than 800 locations are nearby lakes, rivers, mountains and streams," said Craig Mustard, head of domestic brand management for economy brands, Choice Hotels. "As a thank you to the brand's loyal guests, we want to provide them with a once-in-a-lifetime opportunity to win a fishing experience with Bassmaster champion, Justin Lucas." A full day of fishing with Justin Lucas on his home lake at Lake Guntersville, Ala.
Two-night stay at the nearby Econo Lodge hotel in Boaz, Ala. The ultimate tackle box, complete with a new rod and reel from Abu Garcia, and bait and line from Berkley. Justin Lucas is a professional angler who joined the Elite Series in 2014. Lucas has participated in 61 tournaments, with 17 top-10 finishes and two victories – California Delta and Potomac where he caught 72- and 82-pound fish, respectively. The Econo Lodge brand is the presenting sponsor of two 2018 Bassmaster Elite Series tournaments, at Lake Martin from February 8-11 in Alexander City, Ala., and at Sabine River from June 7-10 in Orange, Texas. The brand is also a participant in two additional tournaments this year, at Lake Travis from May 17-20 in Jonestown, Texas, and at St. Lawrence River from August 23-26 in Waddington, N.Y.
Econo Lodge is franchised by Choice Hotels International, Inc. (NYSE: CHH). 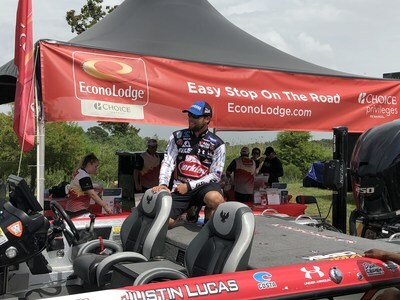 For more information about the Econo Lodge Easy Escape, Fishing with Justin Lucas contest, visit EconoLodge.com. With the amenities you need, the price you want and a brand you trust, Econo Lodge hotels make traveling easy. The Econo Lodge brand is one of the most trusted and recognized in the economy segment with more than 800 hotels located around the United States. Every property provides the amenities guests need to feel refreshed, including free Wi-Fi, complimentary continental breakfast, in-room refrigerators, convenient device recharge throughout guest rooms and premium movie channels. For more information, visit EconoLodge.com.